Credit: NASA/Aubrey Gemignani. Download this image (JPG, 793 KB). [19-Apr-18] A family checks out a vial containing a culture of Emiliana huxleyi, a phytoplankton that plays an important role in the global carbon cycle. 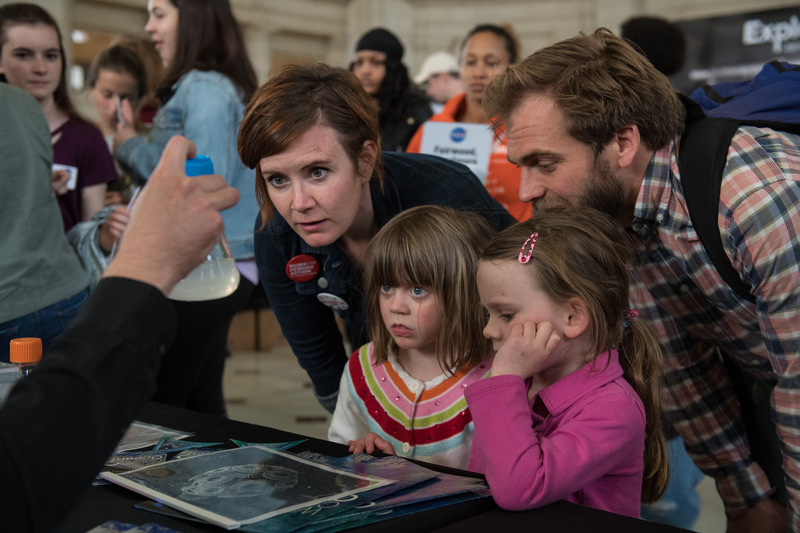 The cultures of three different species were displayed as part of the PACE exhibit at the NASA Earth Day event in Washington D.C.